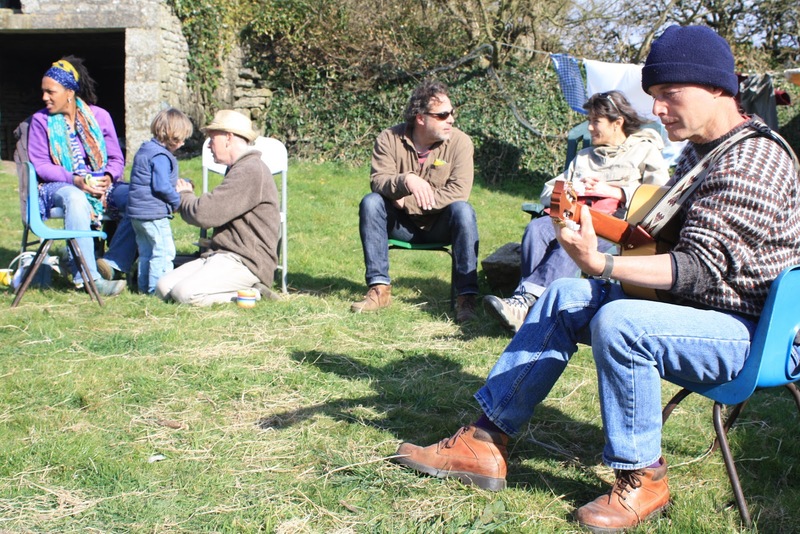 Kelsey will be holding singing workshops fortnightly on Sundays (the last one was in the polytunnel and made the plants shoot up!). If anybody is interested please give Kelsey a ring on 351330. 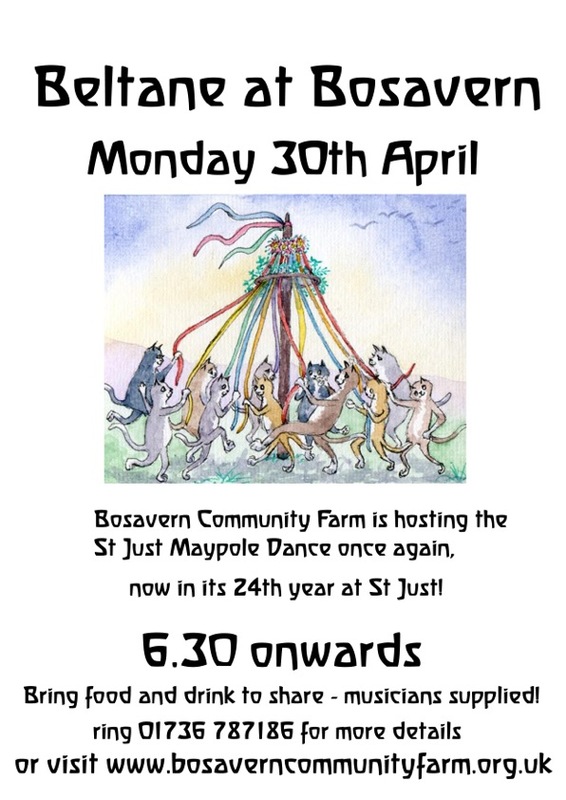 Next Monday 30th April from 6:30pm we are hosting St Just Maypole Dance for Beltane, so please come along and dance near the standing stone. 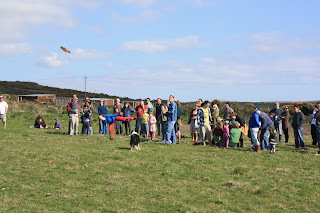 We found this video of last year's Beltane on Youtube http://www.youtube.com/watch?v=y_ASgx44VTI and if that doesn't work simply search Youtube for "Bosavern Community Farm" and you'll find it. 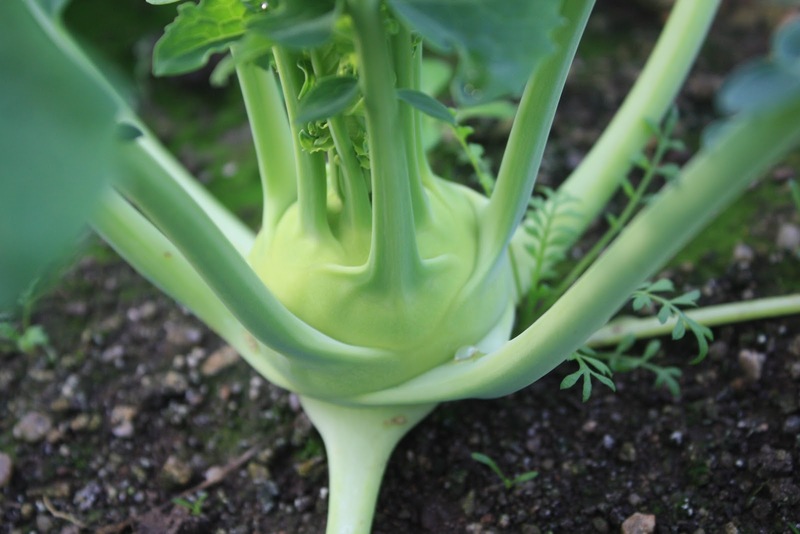 Kohlrabi, meaning "turnip-cabbage" in German, is a member of the brassica (cabbage) family, and I'm a big fan. My favourite way to prepare a kohlrabi is to trim the leaves and steam or stir-fry them as spring greens; then take the bulk of the vegetable - the swollen stem for which it is chiefly grown, about the size of a tennis ball - and cut off the outer layers to reveal the crisp delicious centre, slice or chop and eat it raw, or cut into batons and add to a stir-fry. Delicious! "Noriko" kohlrabi growing in the polytunnel last winter. We grow kohl rabi in the polytunnels over winter, sowing them in September or October, from which they'll be ready in March and April. We've just harvested the last of ours, with the final few now available for sale at the farm gate, having been a staple in veg boxes over recent weeks, and appearing at Pendeen Farmer's Market and our gate stall at St. Just Primary School. 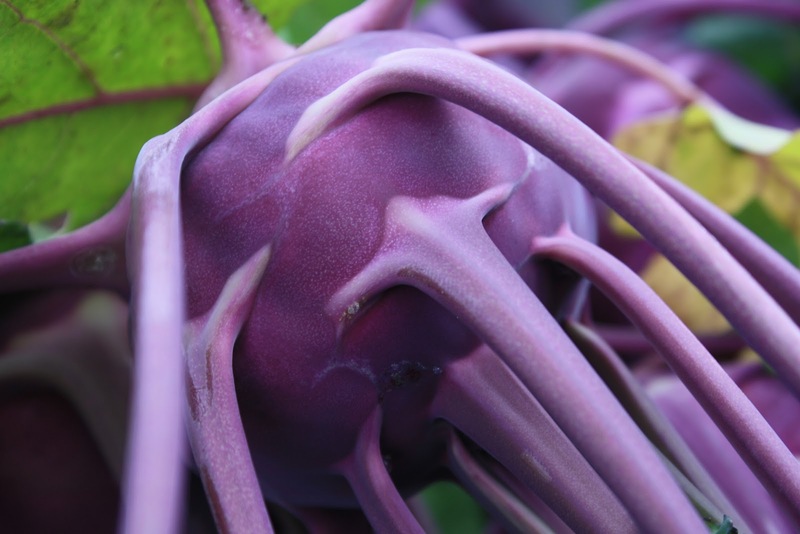 "Azur star" kohlrabi just after harvesting last month. He use it in three recipes in the book - kohlrabi and cabbage salad, "mixed grill" with parsley oil, and mushroom lasagna. Hugh Fearnley-Whittingstall also chips in with kohlrabi carpaccio, and shaved summer veg in his book "River Cottage veg every day". Try one - I think you'll be pleasantly surprised! 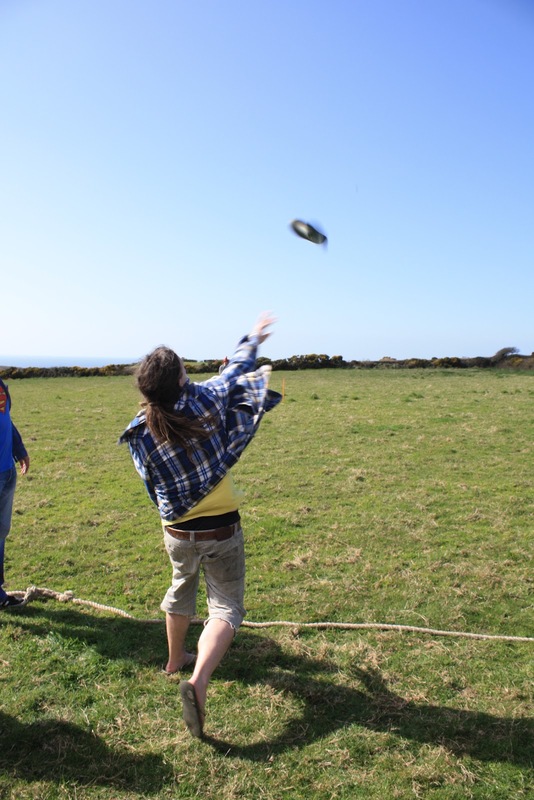 Many thanks to Marlen, from Rostock in Germany, who left today having volunteered as a WWOOFer on the farm for one month. Marlen is continuing her wwoofing experiences in Cambourne, and we wish her all the best at her new farm, and the other farms to follow. 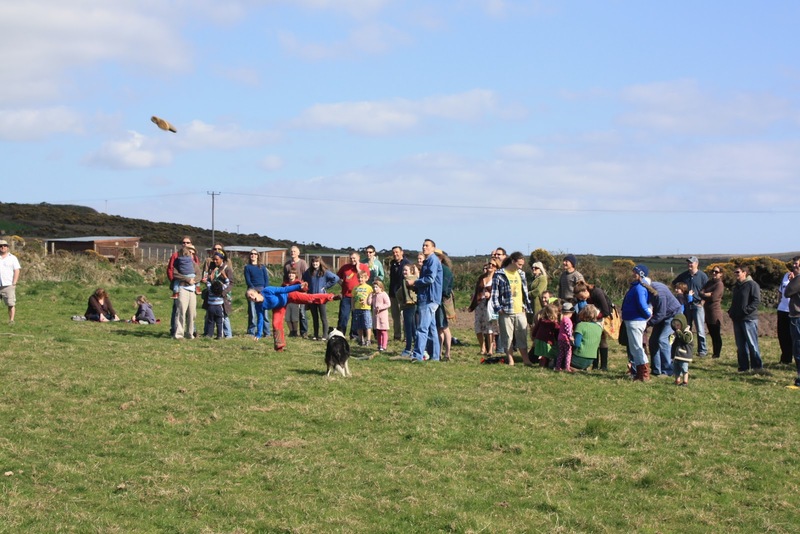 Unfortunately I failed to get a photo of Marlen, except for the same shot as appears below for Ines - Marlen is on the left of the photo! 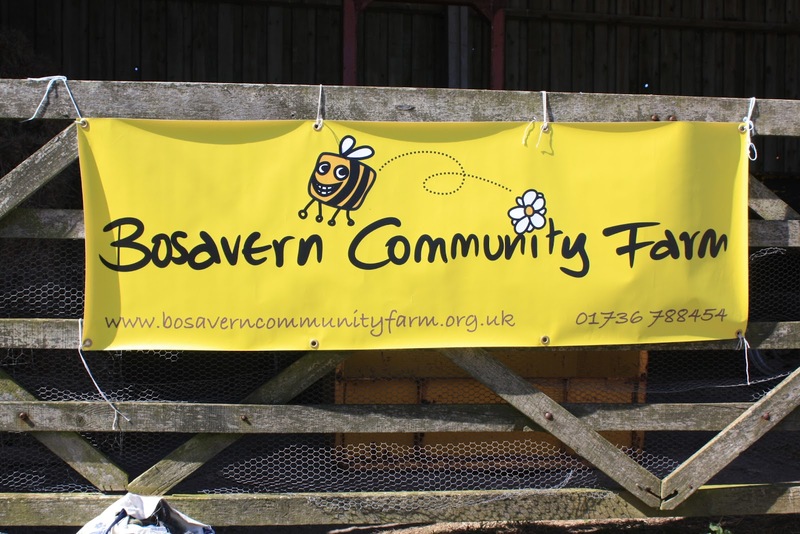 Everyone keep their eyes peeled for Bosavern Community Farm's appearance on Spotlight news, probably airing Friday 20th April. We'll keep you posted if it does get shown. 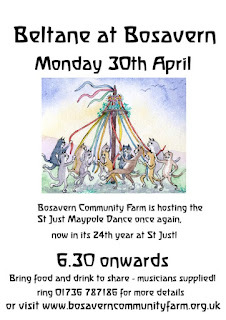 There will be a gig to raise money for the farm this Saturday evening in St. Just Town Hall (NOT the Nancherrow Centre as advertised!). Entry is £4, and the line-up is Petite Debauche, the amazing Ben Jordan (singer-songwriter), and Bowline, plus a bar, starting 9pm and on till midnight. All proceeds will go to the farm. Thanks to Ines who wwoofed on the farm for six days and left today for her next experience in Truro. 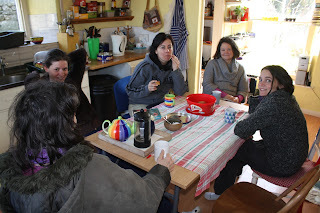 Ines, centre, taking a break from harvesting, drinking coffee with the gang. 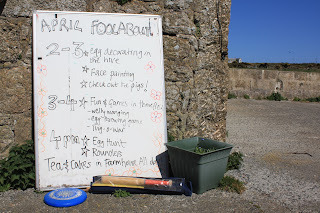 Sunday's fool-around was another great event down on the farm, and even the fickle Cornish weather played ball. Fifty or so people came down and enjoyed the afternoon, with farm tours, fresh produce for sale, tea and cake in the farmhouse kitchen, egg-decorating, rounders on the field, tickling pig's tummies, welly-wanging, tug-of-war (I've been asked to record that the blokes won this year in revenge for last year's lady's victory), face painting, egg throwing competition, acoustic guitar serenade, jumble sale etc..
Spot the welly contest - this wang from Fran. 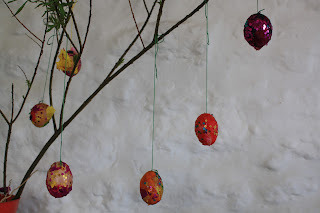 Decorated eggs hanging in The Hive. 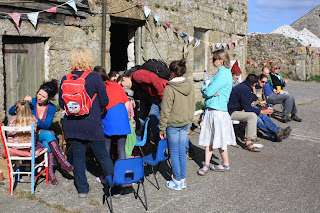 Eating cake and having faces painted in the farmyard. 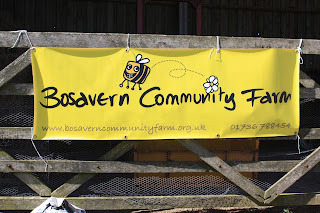 Our new banner on the farm gate - thanks to Kate for this. Wang that welly, boy! 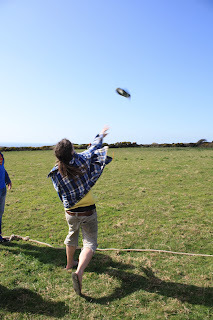 Simon competes for the wooden spoon. Many thanks to everybody who helped organise the day, to all those who came along and put the community into farm, and especial thanks to the people who applied to purchase Community Shares on the day - every little helps secure the farm for the future. 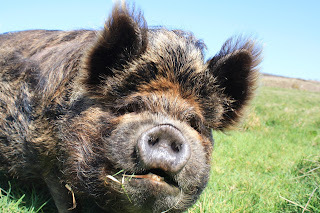 On Wednesday 28th March our two new kune kune pigs came to live on the farm. 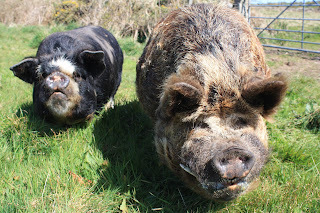 Butch is Ebony's mate and father of Horus, Po-po, Ginger, Blue and Lowenna; and Barney is his castrated companion (pigs get lonely if they live alone). Ebony has moved in with the two big men, leaving the five piglets in their own enclosure - Butch, Barney and Ebony have a whole field to themselves, with views to Land's End and the Isles of Scilly, while the five piglets are grazing around the outside of the chicken runs. Ebony and Butch getting re-acquainted. Barney has smaller tusks than Butch. The plan is for Ebony and Butch to mate again and produce another litter of piglets, which can be for selling on, keeping to breed from, or slaughtering for meat to sell. 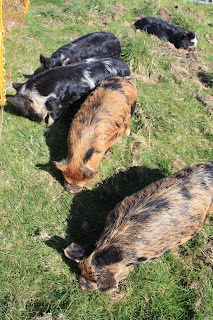 Meanwhile her last litter are still all together and getting their tummies tickled on a regular basis. Ginger, Po-po, Blue, Lowenna and Horus. 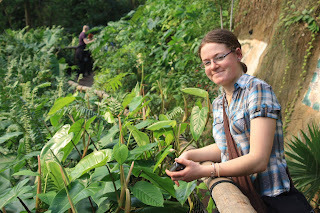 Many thanks to Natalie from New Zealand who left the farm on Sunday having volunteered with us as a WWOOFer for 6 weeks. Bon voyage and enjoy Spain! 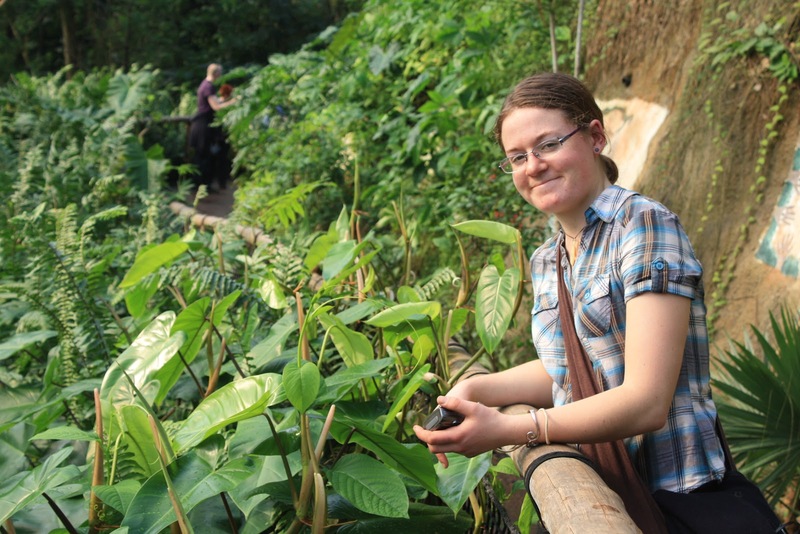 Natalie on a staff-outing to the Eden Project.